Applications and services are made up of more components and integrations today than they were just a few years ago. Coupled with a much more competitive business world, this complexity has changed everything for both development and operations. Devops is pressed to deliver more functionality at a faster pace, focusing on small, incremental changes and using agile methodologies and practices such as continuous integration. 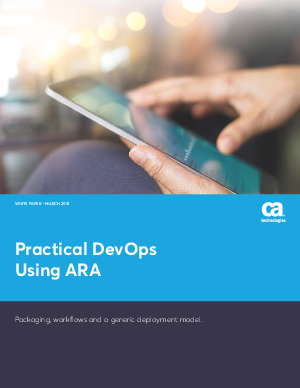 Download this white paper to find out more about how CA Technologies can help with many of the DevOps challenges your company currently face.